Dynamic Yield’s integration with Oracle DMP gives you the ability to deliver hyper-targeted personalized content to unknown, first-time site visitors. Oracle DMP gives marketers the ability to understand audiences across devices and environments. 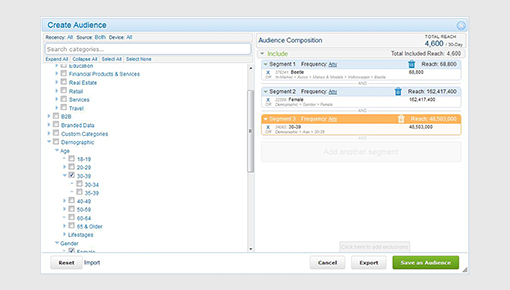 Onboarding your third-party, cookie-based audience segments from your Oracle DMP account with Dynamic Yield enables powerful segmentation capabilities and more precise targeting capabilities that create personalized experiences for first-time visitors. Personalize the experience for new, anonymous visitors from the very first pageview to amplify opportunities for conversion uplift and 1:1 engagement. Serve returning customers with instant product recommendations of their favorite brand/products. Incorporate AI-generated content from Persado into the Dynamic Yield platform to serve personalized content across digital channels.